Lookers dealership chain has been certified by the Top Employers Institute as providing excellent employee conditions. The award also indicates that talent is nurtured and developed over all levels of the organisation and that the firm's employee practices benefit people across the business. The award has been announced at the same time as Lookers reveals a comprehensive employee package of benefits, which includes two years critical illness cover, a year’s full pay maternity leave and a generous holiday package. The award is entitled the Top Employers United Kingdom 2017 Certificate and Lookers is the only motor retailer to have received it this year, although others in the motor industry have also been recognised as top employers under the programme. 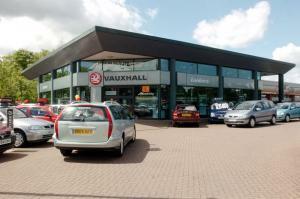 These include: Goodyear Dunlop Tyres, Bentley Motors, Vauxhall and LeasePlan UK. Andy Stephenson, the People Director at Lookers Group, welcomed the award, stating: "We are delighted to be officially recognised as a leading employer and provide ‘excellence in employee conditions’. Our people from across the business do amazing things every day and this award is recognition of their commitment of being excellent and delivering an outstanding customer retail experience." The firm says that it continues to “put the customer at the heart of every single decision”, which allows it to “move forward” and invest more and more in recruiting and retaining the very best staff. The firm’s HR department has plans for ‘people projects’ across four key areas, namely: customer centricity, leadership, engagement and simplicity. It says that these programmes will ensure it is “well placed” for further accreditation and recognition in the future. Stephenson added: "The measures and benefits we have introduced have created a meaningful and noticeably different place to work." Investing in staff with the addition of excellent working conditions and benefits is a great way to make sure your dealership, whatever its size, can compete within the industry for the very best technicians, sales people, managers and back office staff. It’s vital to ensure you are fully insured against unforeseen challenges, such as theft, flood, road risks and fire, to enable you to fulfil employment contracts and provide stable working conditions for your employees. Keeping your motor trade insurance policy updated is vital for the security and business continuity of your dealership.